The title of this post is taken from Business Week’s article published this February, Social Media will change your Business (an update on what was apparently an iconic article on blogging published in May 2005 – well before I started getting interested in blogging and social media in general). I think this article provides a useful summary of social networking and web 2.0, and the update from the previous article shows very clearly how much business application of social media has advanced in a very short period of time. (My own learning about social media continues to advance as well - a particular hat tip to the Podcast Sisters for this). The main point of the Business Week and other articles is that social networking and web 2.0’s ability to generate mass participation has the potential to provide a significant boost to organisational productivity. In an FT article, John Chambers at Cisco explains that “it will have more impact (than web 1.0) because the power of many to many allows you to do things at a dramatically different speed”. Importantly, although most business people who know about social media tend to think about the applications of this technology in terms of connecting to customers, the greater opportunity may be in connecting with employees. In fact, some recent research by McKinsey has shown that more businesses are already using some combination of web 2.0 technologies to manage collaboration internally (75%) than to interface with customers (70%) or with suppliers and partners (51%). To me, the key to McKinsey's enhanced ability to collaborate is the quantity and quality of connections employees have, both internally and externally. Social networking is therefore likely to be more important that other web 2.0 applications. In fact, this is sort of what McKinsey has found. The main web 2.0 technologies and tools they find companies are investing in are web services (80% using or planning to use), collective intelligence (48%), peer-to-peer networking (47%) and social networking (37%) – all more popular than RSS, podcasts, wikis, blogs and mash-ups. But I’m not sure that web services or peer-to-peer networking are really part of web 2.0 – they seem to me to be part of more traditional distributed computing (and I’m still not sure about mash-ups either). And I think collective intelligence is a mix of social networking and web 2.0, so this leaves social networking as the most popular (still not necessarily the most important) form of technology (I accept readers may not agree with my manipulation of this data). Knowledge management: enabling people to contribute, share, build upon and access information is largely about web 2.0 rather than social networking itself. However, social networking has a key role to play in identifying who are the owners of knowledge, ie it supports mainly know-who rather than know-how / know-what. Social networking can also be important in enabling employees and others to contribute ideas, suggestions and knowledge. Enhancing communication, involvement and engagement: enabling people to connect and communicate in an informal, human sort of way, in order to build meaningful relationships (potentially easier for some to do virtually rather than face-to-face). 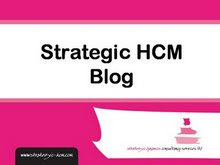 (Other web 2.0 applications include blogging and podcasting whether this be from the CEO down (a CEO blog) or by encouraging and facilitating the employee’s voice through internal or external blogs, wikis etc. 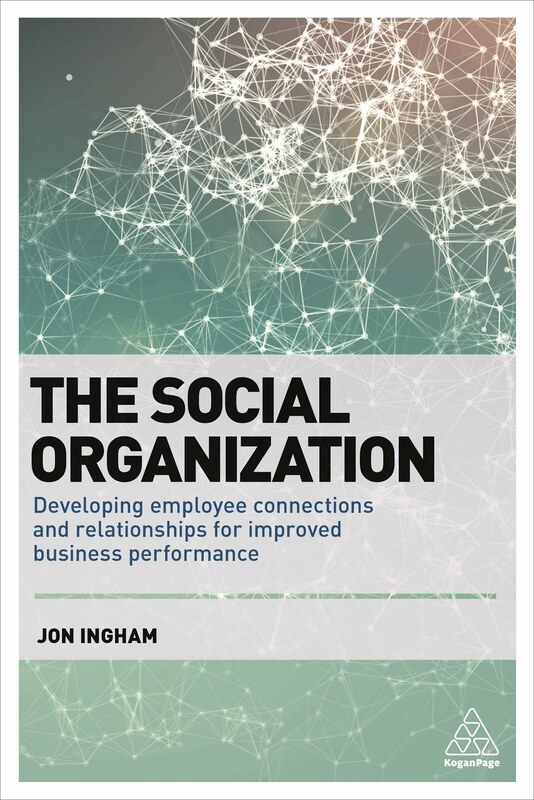 Developing relationships, which I think extends beyond both just knowledge management and communication, as the quantity and quality of social relationships both internally and externally to an organisation provide their own, largely intangible value, for example, in supporting employees in managing their own careers. Another aspect of this is in identifying people who can contribute to an organisation who are not the organisation’s employees (managing across boundaries) and potentially in ‘crowd sourcing’ (outsourcing to individual agents). Virtual team working: supporting virtual and dispersedly located teams and home workers, giving a personal flavour to relationships with others in the organisation. The other reason I suggest that social networking is likely to be more important than web 2.0 is that I feel (and I’ve got absolutely no evidence for this what so ever) that the extra social capital provided through social networking’s enhanced connections and relationships will have a greater impact than the extra human and organisational capital provided by employee blogs, podcasts and organisational wikis etc - mainly because social capital is generally much less well developed. "Joining Web 2.0 tools to traditional performance management practices such as the annual review, 360-degree assessments and training, etc. gives employees a sense of independence. They can evaluate their competencies and take actions to improve productivity in a networked way, with peers, managers and colleagues providing support. In this way, Web 2.0 tools and traditional talent management technology mesh, and workers can seek out organizational experts and communities of practice as needed." But I still think it’s going to be social networking that is really going to change HR. Take my 'Social connecting in business' survey here.